When I traveled to Mexico, it was my first attempt packing for an international trip in just a daybag. Although that’s pretty extreme, not having a ton of luggage made travel around Mexico much easier. 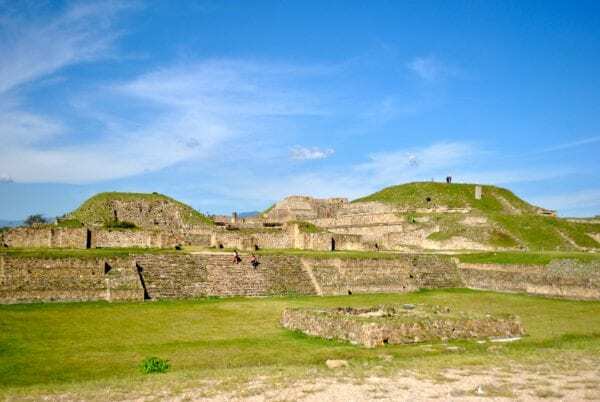 My partner and I were able to walk from the bus station to our hotel in Oaxaca City, skip baggage check lines at the Mexico City airport, and generally felt less like tourists. Although, yes, it raised some suspicion at customs in the U.S., packing light on our trip to Mexico saved us a lot of hassle. If you’re wondering what to pack for Mexico — whether it’s to Cabo San Lucas or San Cristobal — below is a Mexico packing list based on ours. We traveled through Mexico City, Oaxaca, and the coast so we needed to be just as prepared to battle mosquitos by the beach as we were for Oaxaca City’s cooler nights. This Mexico packing list can be adapted to any destination in the country. For women, shorts aren’t commonly worn in Mexico but are nice to have at the beach. I’d recommend bringing a skirt and a pair of athletic shorts (for outdoors activities or as a beach cover up). A maxi skirt is my preference, since I can wear it in cool weather or tie a knot in it to turn it into a midi or mini skirt in warm weather. For men, two pairs of shorts (my partner brought one that doubled as a swim suit, and one to wear) should be enough — especially if you don’t plan on being on the beach your entire trip. In addition to that, bring one pair of sneakers — either trail runners for hikes or something like Toms for walking around cities. For our trip, I packed two basic tank tops, one basic t-shirt, and one nice tank top for going out. Like any trip, make sure you can mix and match these with the bottoms you choose. If you’re going to Mexico, there’s a good chance you’ll visit a beach — and for every resort-filled destination like Cancun or Cabo there’s a laid-back, smaller beach town that’s just as beautiful. We stayed in San Agustín (near Mazunte) at a beach-side cabaña called Un Sueño. If you’re packing for Cancun, Punta Cana, or any other beach, be sure to bring your bathing suit and enjoy! Forgetting the bug spray at home ended up costing me $10 for a tiny thing of it in Mazunte. In smaller towns, sunscreen is also overpriced. Make sure you pack both or pick some up in a bigger city — like Mexico City — before heading to the coast. If you’re traveling carry on, remember that they must be less than 3.4 oz to accommodate TSA regulations. 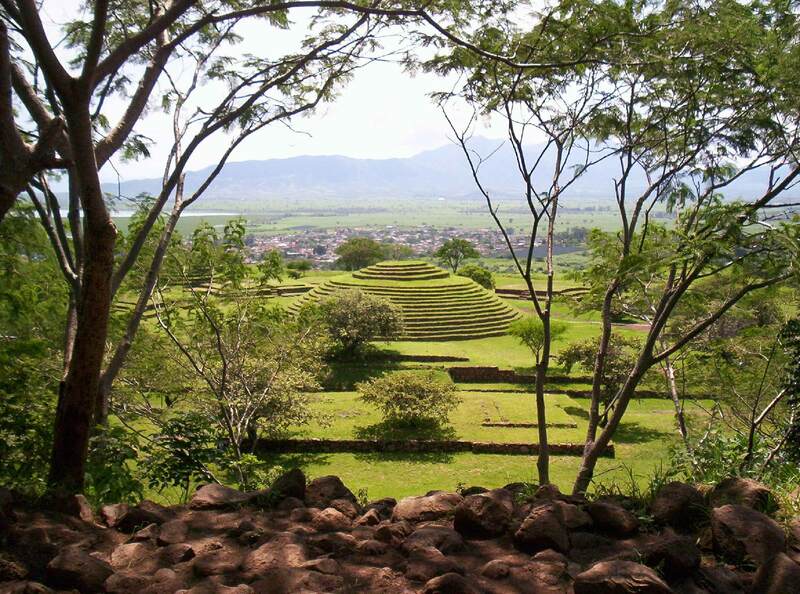 Most of Mexico has a low- to no-risk for Malaria and most travelers will have no need for anti-malarial medications. As an optional item, you might want to bring a towel if you plan on staying in a hostel (and don’t want to rent one), couchsurfing, or for the beach. Sometimes, I’ll bring a sarong that doubles as a towel — especially when I know I’ll be more likely to use it as a scarf, beach blanket, or cover up than as a post-shower towel. In countries like Mexico, where cash is king and haggling is common, I like to carry two wallets. One is my main wallet with credit cards, ID, and U.S. cash. In the other, I’ll keep about $20 or so in small change. This is the one I’ll pull out in marketplaces or restaurants so as to make myself less of a target. If you’re haggling for something, it’s handy, since flashing a lot of cash in front of a vendor definitely won’t get you a lower price. No matter what kind of travel backpack you choose, you’ll want something smaller for excursions after you arrive. A daypack allows you to leave your big bag at the hotel and travel even lighter on your day trips. Consider your particular needs and what matters most to you in choosing your daypack. If you’re looking for something that folds down small into its own pocket and is both lightweight but big enough to hold a day’s worth of essentials, then the Setout packable daypack is just right. This bag is so convenient that it will become your go to bag for sightseeing adventures. However, if you’re traveling with your computer, perhaps working a bit as you go, then you want a daypack that’s a bit more robust and built to protect your valuable laptop. The Outbreaker daypack has a sturdy computer sleeve built into the bag, close to your back, is made of waterproof sailcloth fabric, and has extra padding on the back panel and shoulder straps for a comfortable carry with a little more weight. It folds down flat in your travel backpack and takes up very little realestate in your travel backpack. Tap water isn’t safe to drink in much of Mexico, but you can help cut down on plastic bottle waste by buying 5-gallon jugs of water and refilling a reusable water bottle during your trip. Another option is to carry a filtering water bottle, like the GRAYL, and never worry about water quality when you’re traveling again. My partner tested an international extension of his data plan with AT&T while we were in Mexico. It was $30 and we went through it in about 2 days. We got by without a phone after that, but it was nice to have for calling Ubers, directions, and calling up the guest house owner of Un Sueño when we arrived after dark. Next time, I’d skip the international plan and instead get a local SIM card to put in my unlocked iPhone. Tortuganauts favor the T-Mobile International plan for its hit the ground running ease of use and coverage in 140+ countries. In Mexico, your plan will even allow you to tether your phone, just like in the USA, to provide wifi to your computer or other devices. Sweet! Similar to California, the area around Mexico City and Oaxaca is warm during the day, but chilly at night. Bring a sweater, or a sweatshirt, to throw over your day time outfits once the sun goes down. You’ll also want one on AC-heavy bus or plane rides too. If you’re like me and get cold easily, a small beanie and/or a scarf can also go a long way and neither take up too much room in your bag. 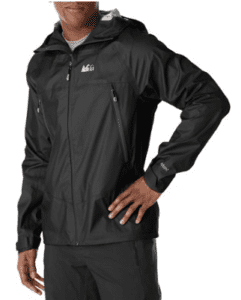 A breathable rain jacket shell like REI’s Rhyolite ($189) or Marmot’s line of rain jackets ($100 and under) is ideal. Bring it with you to keep dry during rain showers, or as an additional layer on top of your sweater (it can drop into the low 40s at night some parts of the year). Seriously. Bring pants. One or two pairs of pants (or in my case, 1 pair of yoga pants and 1 pair of jeans) should be enough. You’ll want them in the colder areas of Mexico, but also to look nicer. Exercising and beach aside, shorts are kind of a touristy thing.